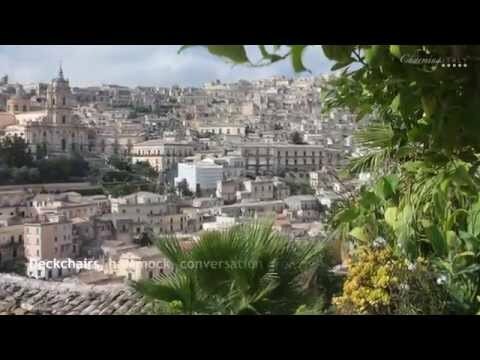 If we go back in time to the 18th century when the city of Naples was the vibrant capital of the expansive Kingdom of Naples, which covered all of southern Italy and at various periods Sicily as well, we’d see a much different city along the Bay of Naples. This was the time of great extremes in Naples, which was torn between the splendor of the royal courts and the poverty and famine of the Neapolitans. 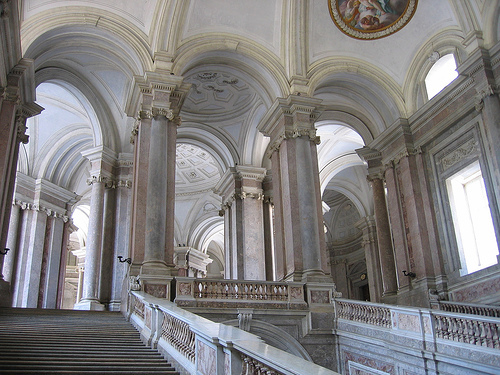 It was during this period of turmoil that Italy’s grandest royal palace was constructed, the Reggia di Caserta. Construction of this sumptuous summer palace began in 1752 under the reign of King Charles following the designs of the famous architect Luigi Vanvitelli. Construction of the palace proceeding in fits and starts, interrupted when King Charles left Naples to assume the throne as King Charles the III of Spain. 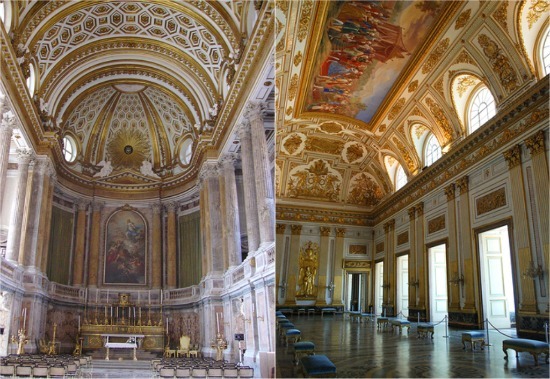 His son Ferdinand IV succeeded him on the throne of Naples, and the Royal Palace of Caserta become one of the favorite spots of his royal court. 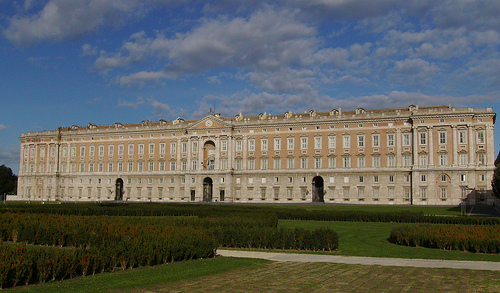 Coming in at 1,200 rooms, the Royal Palace has two principal facades and is organized around four large courtyards. After Luigi Vanvitelli’s death in 1773, his son Carlo carried on the construction, but it was never completed according to the immense original plans. As you step inside, it’s hard to imagine the palace any more sumptuous! The grand State Staircase is an impressive view, adorned with marble statues of lions, which leads to a vestibule surrounded by 24 beautiful pillars of yellow marble. It’s easy to get lost in thought in such grand surroundings, imagining the sound of shoes clicking up and down the marble staircases and the crunch of carriages arriving in the vestibules below. Often compared to the Palace of Versailles in France, the Royal Palace was indeed modeled in part on that famous palace of French royalty. If it is open, visit the stunning Palantine Chapel, which was inspired by the chapel of Versailles. 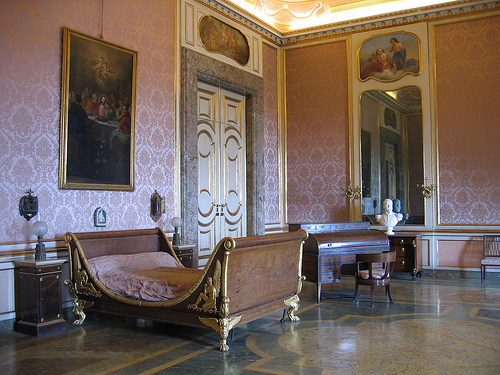 The Royal Apartments have been preserved in an excellent state, and a tour through them is a wonderful chance to experience the splendor of court life in 18th- century Naples. The throne room, above right, is the grandest room in the palace and features a expansive fresco on the ceiling depicting King Charles laying the first stone of the palace in 1752. From the grand state rooms you enter the private chambers of the royal family, where you will find beautiful examples of Empire-style furniture. Don’t miss the desk in Francis II’s bedchamber where you’ll spot the first known example of a roll-top style desk! 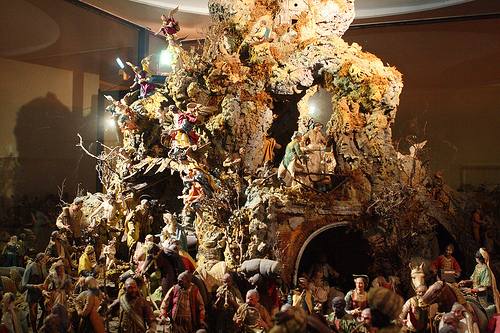 Before leaving you’ll walk through the library before entering a room that houses a grand presepe, or nativity scene, with over 1,200 figures and pieces. Many of these were created by the famous sculptor Giuseppe Sammartino and other important artists of the period. Once you’ve visited the Royal Apartments, your visit is only half over. 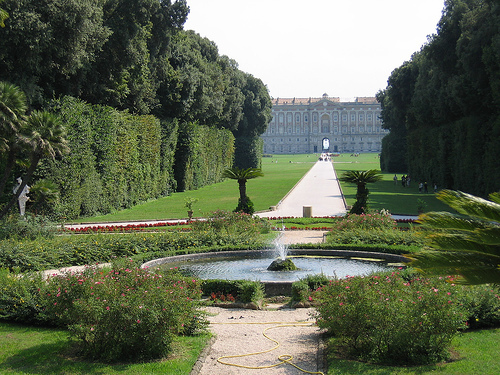 On a pleasant day, you simply can’t miss a visit to the gardens of the Reggia di Caserta. Surrounding the palace on the north, east and west sides and stretching out over 3 kilometers, these beautiful gardens are one of the most impressive examples of Italian landscape architecture. 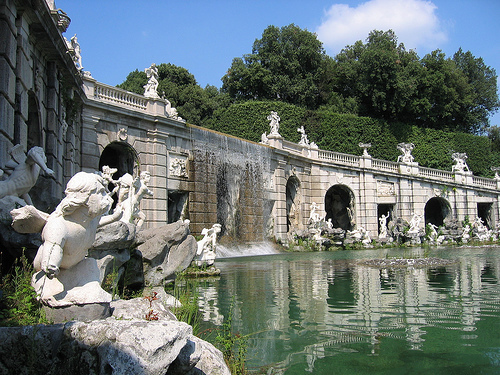 Designed by Martin Biancour under the watchful eye of Luigi Vanvitelli, the immense gardens are renowned for their fountains and statues. A shuttle bus runs the length of the garden, or you can simple stroll along and enjoy the captivating views that frame the Royal Palace in the distance. You won’t want to miss the semicircular Fountain of Aeolus, decorated with 29 statues of wind gods set in a rocky landscape surrounded by arches. In such a grand setting, it’s easy to imagine the rustle of the dresses and laughter of the royalty of Naples enjoying a morning stroll through the gardens. 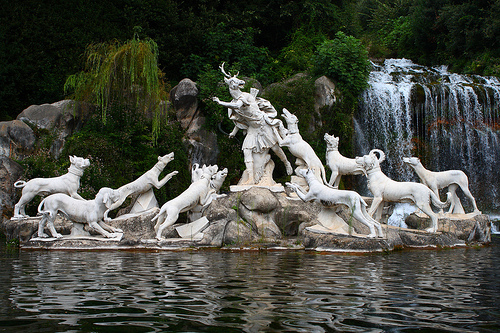 No place captures the romance and imagination of the 18th century better than the Fountain of Actaeon and Diana surrounding by a great cascade of water. 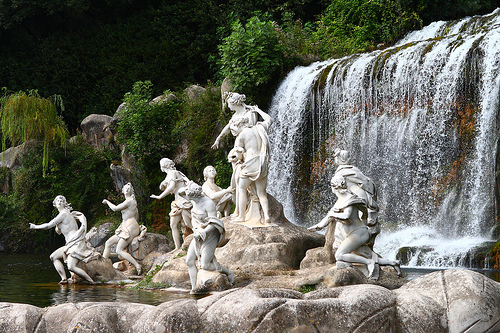 Here you’ll spot the goddess Diana surrounded by her nymphs amidst the rocks, the perfect natural setting for this ancient story. According to the legend, while out hunting one day, Actaeon happened across Diana while she was bathing. As punishment, she turned him into a stag, and his hunting dogs chased him down and killed him. This frightening scene is depicted nearby, as you see the half-man and half-stag surrounded by his hunting dogs. Once you’ve soaked up the splendor of the Royal Palace of Caserta and its immense gardens, it’s time for the re-entry back into the daily life. But what remains truly splendid about the Reggia di Caserta is the chance it offers for visitors today to imagine the grandeur and lifestyle of the kings and queens of Naples’ past. 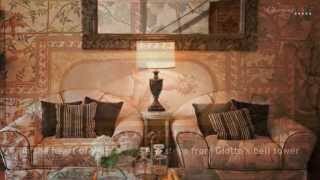 Let's dream with Italian artistic beauties! 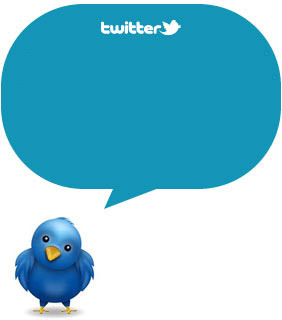 Follow us on Twitter and Facebook and subscribe to our RSS: we'll keep you updated!